British riders Luke Rowe (Sky) and Simon Yates (Orica-GreenEdge) have entered the 2015 UCI WorldTour ranking after both riders enjoyed top 10 success at the weekend. Rowe placed a highly-creditable eighth place in Paris-Roubaix in France on Sunday, widely recognised as one of the toughest single-day races on the calendar. Rowe came home just behind the lead group containing race winner John Degenkolb (Giant-Alpecin) and enters the ranking in 52nd spot. 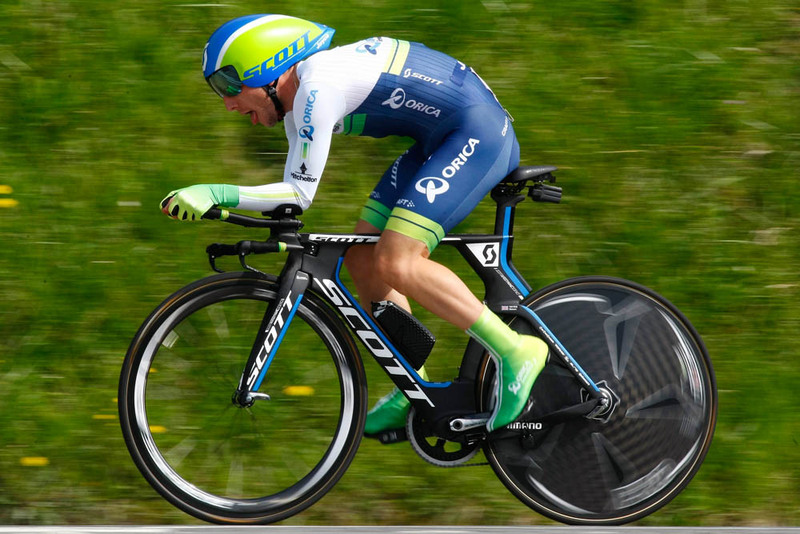 Yates finished the Tour of the Basque Country on Saturday in fifth place overall behind winner Joaquim Rodriguez (Katusha), who managed to overhaul Sergio Henao (Sky) in the final time trial stage. Yates is 31st in the WorldTour table. Richie Porte (Sky) maintains his grip on WorldTour lead with 303 points after winning Paris-Nice and Volta a Catalunya, and taking second in the Tour Down Under in January. Tour of Flanders winner Alexander Kristoff (Katusha) is in second with 237 points, with Roubaix and Milan-San Remo winner Degenkolb moving up to third with 232 points. Geraint Thomas (Sky) may have crashed out of Paris-Roubaix on Sunday, but the Welshman only slips down the UCI WorldTour ranking by one place to fourth. The fourth British rider in the ranking is Simon Yates’s brother Adam, in 58th place. British-based outfit Team Sky just about maintains its top spot in the WorldTour team ranking, although Etixx-QuickStep is now just 39 points behind. Belgian team Etixx may have come away from the classics without a victory, but a string of podium places – not least Zdenek Stybar’s second in Roubaix – has seen them quietly amass points. Australia still leads the WorldTour nation ranking, with Spain in second and the Netherlands in third. Britain is currently seventh. The next WorldTour events are: the Amstel Gold Race in the Netherlands (Sunday, April 19) and La Flèche Wallonne in Belgium (Wednesday, April 22).